Join me for an evening of cookie decorating! Cookies are pre baked and all icing, tools and packaging are provided! I’ll share my tips and tricks for creating beautiful one of a kind cookies while guiding you in doing your borders, flooding and details with fully instructed live demonstration. You’ll also receive a copy of my Royal Icing recipe! All classes are located at Pinnovate DIY Studio in Calgary. Doors open half an hour prior to class so that you can come and grab a drink or some pizza and settle in for the evening! Upcoming classes and descriptions are listed below. Stay tuned to Facebook and Instagram for release dates as once they are posted, they sell out fast - hope to see you at one! 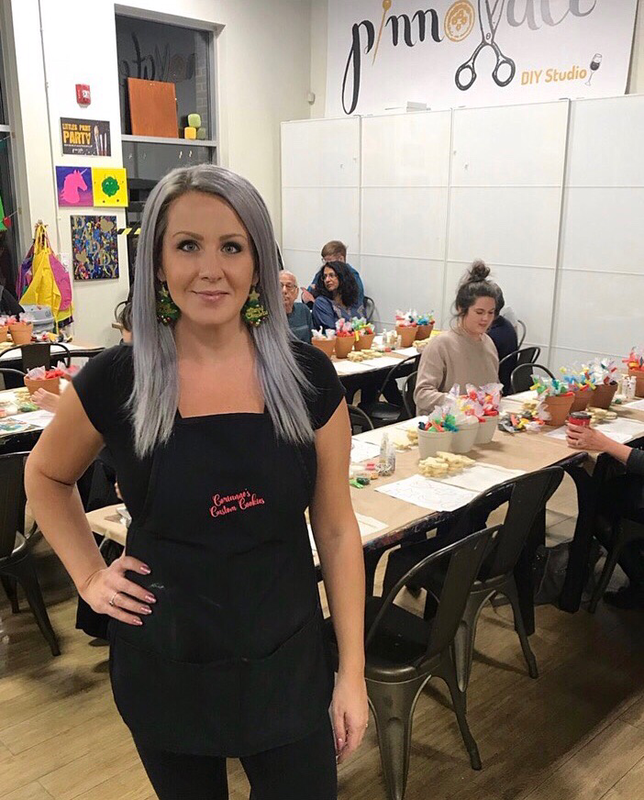 Come and learn everything about piping florals and working with gold highlighter in this intermediate decorating class. No experience with these particular techniques is required, but you should have a basic understanding of royal icing and it’s different consistencies to build on. You’ll receive 8 pre baked cookies to decorate as shown, with all icing, various tools and live demonstrations from me. This set is designed so you can keep it as one, or split into two mini sets for gifting. Individual sealing bags and a bakery box will be provided to take your creations home in! My custom made scribes will also be available for purchase if you wish to use one during the class.